Kenton Koty, Gloria, Natalie, Brad Noble make up the local band “Route 12”. 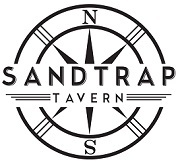 Every Friday in July, you can catch Route 12 at Sandtrap Tavern starting at 6:45. Enjoy Happy Hour drink and dinner specials while you listen to classic hits from the 60’s, 70’s and 80’s.